Today in Masonic History Sugar Ray Robinson (born Walker Smith Jr.) passes away in 1989. Sugar Ray Robinson (born Walker Smith Jr.) was an American boxer. Robinson was born Walker Smith Jr. in or around Detroit Michigan. At the age of 12, Robinson's parents separated and Robinson moved with his mother to Harlem. When he was younger Robinson aspired to be a doctor. In the 9th grade he dropped out of Dewitt Clinton High School and began pursuing a boxing career. When he was 15 he tried to enter his first boxing tournament. He was refused because he did not have an Amateur Athletic Union (AAU) card. To circumvent the AAU rules he "borrowed" a birth certificate from his friend Ray Robinson. In one of his fights during the tournament a woman in the crowd said he was "sweet as sugar", the name stuck and he would be "Sugar" Ray Robinson the rest of his career. Robinson would finish his amateur career in 1940 after wining the Golden Gloves Featherweight Championship in 1939 and the Golden Gloves Lightweight Championship. His record was 85-0 with 69 knockouts, 40 of which came in the first round. Robinson started his professional career in 1940. In 1942 he would be named boxer of the year. Through the beginning of 1943, Robinson would have a record of 43-0. In 1943, Robinson would come up against Jake Lamotta, their previous match ended with a decision for Robinson. This time Lamotta, who had about 16lbs on Robinson knocked him out of the ring in the eighth round. Just a few months later, Robinson was inducted into the Army. One of his childhood idols, Joe Louis was drafted at the same time and prior to shipping out overseas the two would fight exhibition matches for United States Servicemen. On March 29th, 1944, the day before he was supposed to ship out to Europe, Robinson disappeared from his barracks and did not reappear until April 5th when he was found in hospital. Robinson had fallen down a flight of stairs in his barracks and in a daze wondered off. On April 1st he was found by a stranger and taken to the hospital. When he awoke on April 5th, he had no memory going back to the the moment he fell down the stairs. Initially there was talk of charging Robinson with desertion, the doctors that treated Robinson vouched for him and he was given an honorable discharge. In 1946, with a record of 73-1-1, Robinson sought the Welterweight Championship. At the time the mafia controlled the much of boxing and Robinson refused to cooperate with them. In December 1946, he finally got his shot and would defeat Tommy Bell in a close 15 round decision. In 1947, Robinson was scheduled to defend his title against Jimmy Doyle. Robinson tried to pull out of the fight after he had several dreams in which he killed Doyle in the ring. A priest and a minister convinced him to go ahead with the fight. Unfortunately Robinson's premonition was correct and in the eighth round of the fight Robinson would knock Doyle out and he would later pass away in the hospital. Talk swirled about charging Robinson with manslaughter, nothing came of the rumors. Prior to the fight Doyle had made it public that if he won the fight he was going to buy his mother a house. Robinson gave his winnings to Doyle's mother from his next 4 fights to fulfill Doyle's promise to his mother. In 1950, Robinson defended his Welterweight Title twice. The first was against Charley Fusari. After wining the fight Robinson donated all but $1 to cancer research. 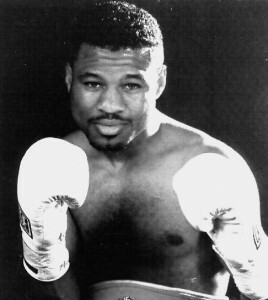 In the second title fight, Robinson came up against George Costner who also called himself "Sugar". Leading up to the fight, Costner repeatedly stated that he was the rightful owner of the name "Sugar". When the two men met in the middle of the ring before the fight Robinson declared to Costner "We better touch gloves, because this is the only round." Robinson knocked out Costner in 2 minutes and 49 seconds. Robinson would go on to win the Middleweight Championship against LaMotta. The fight known as The St. Valentines Day Massacre was a technical knockout in the 13th round. Robinson passed away on April 12, 1989. Robinson was a Prince Hall Freemason. At the time of the writing of this article his actual lodge membership is not know. Several non-related sources show him as a member.